So what would Sartorial Diner be without some good ol' food posts? Those who have been following me for a while know that while I work with fashion, food is quite an obsession I have. This summer is definitely leaving me with more than just a tan. For those living in Southern California, definitely try out a place or two because I certainly recommend these places. 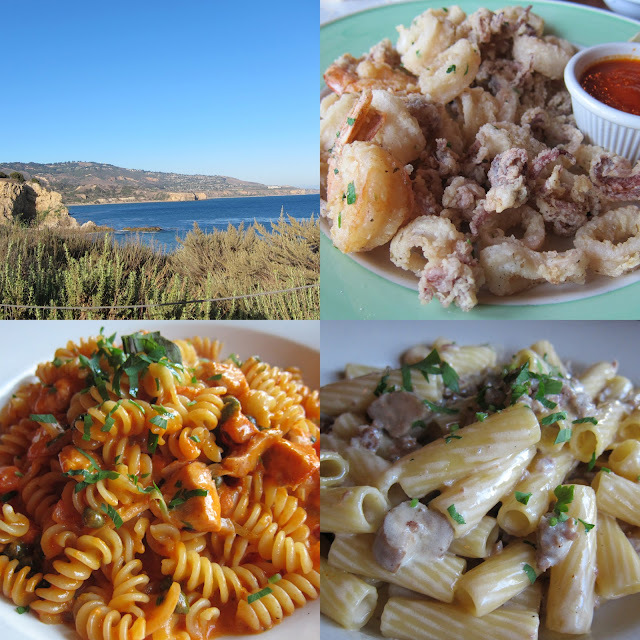 So why don't you sit on back, buckle your seat belts, and join me as I pine away to experience these meals again. 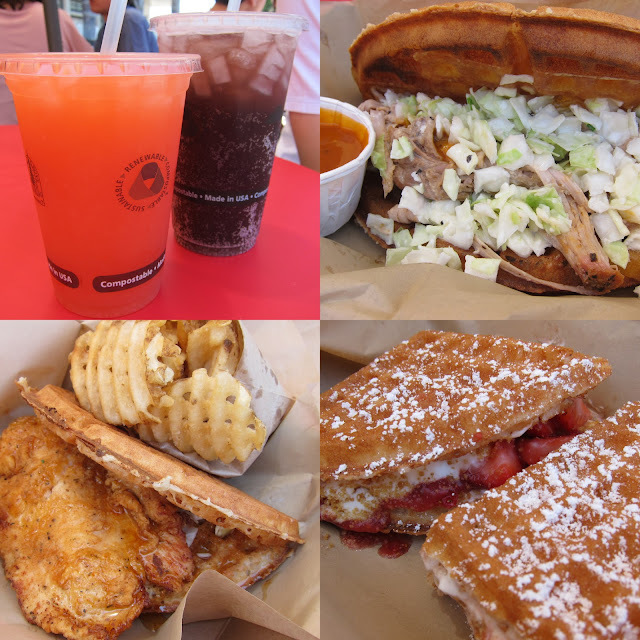 Bruxie | Fried chicken and waffles! Here we have quite a refreshing strawberry lemonade and their seasonal black cherry cane soda. I opted for their original buttermilk fried chicken and waffle. My counterpart enjoyed the "Carolina BBQ pulled pork with slow-roasted pork, cheddar cheese, cider slaw, and Bruxie BBQ sauce". Like the name, the waffle was quite a mouthful. For dessert, a strawberry cheesecake was enjoyed. All in all, this is a fun and casual place to head over with friends. Although the line may look intimidating, ordering and finding seating was no problem at all! Class 302 | The trouble with being bilingual is that I have a hard time coming up with the names of these Taiwanese dishes in English. Besides, I always find that English translations do the food no justice! 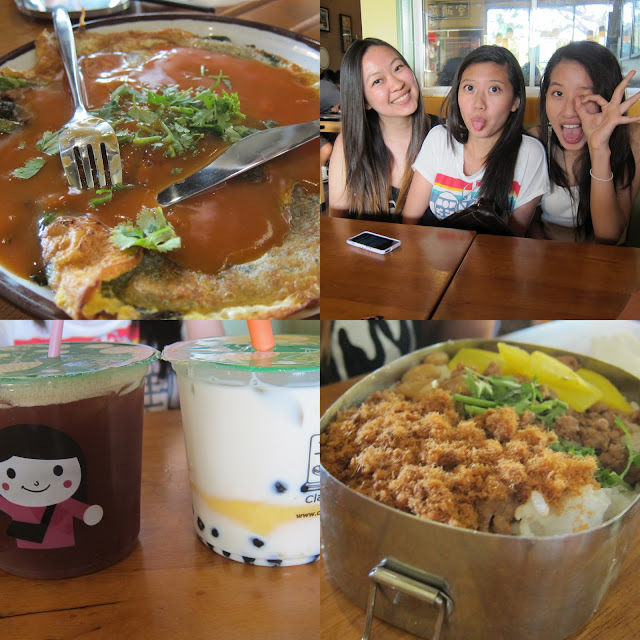 Regardless, Class 302 is a place I like to frequent with friends for Taiwanese food such as snowflake ice (think shave ice but eating clouds of amazing sweet goodness), and drinks in the largest bowl-sized cups you've ever seen. 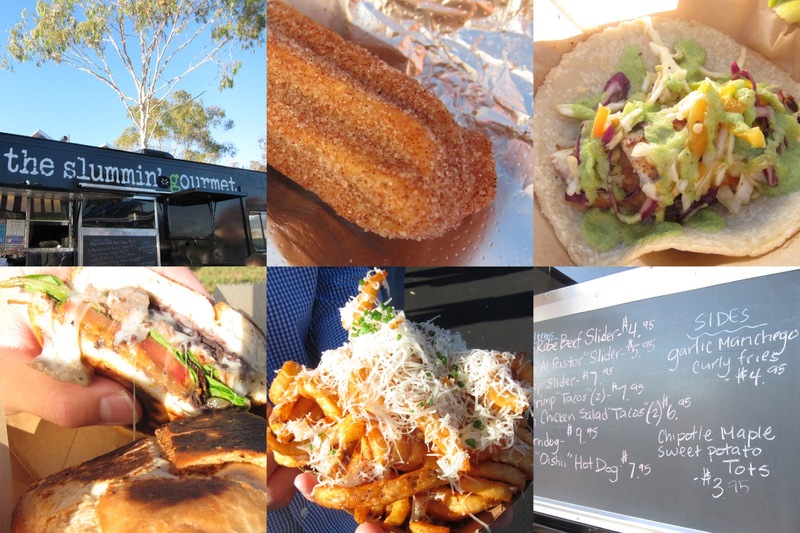 DinDin-A-GoGo | How fun are food trucks? There may not have been a huge selection of trucks to choose from, but the food that I did sample was definitely good! How could a sweet tooth like me resist churros filled with caramel or creme? The fish taco I tried was delicious, and the garlic fries were yummy as well. Next time, lawn chairs are definitely in order. I do like nature, but not when it's in the form of a line of ants clustered around me as I eat! 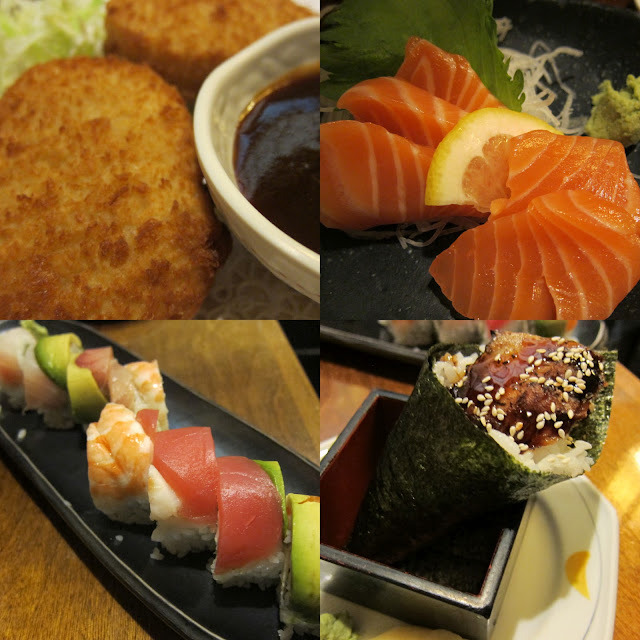 Honda Ya | One of my favorite Japanese places to frequent. Their sushi is quite good, but what I love the most here is their yakitori. I'll be honest here. I was so excited to eat, that I forgot to take pictures; however, you can rest assured that their white tuna is heavenly (and anything bacon wrapped. Then again, I just like bacon regardless of how you prepare it). La Parolacciausa | Oh my word. Boy am I happy that we discovered this place! The Calamarettie was fried so well, and the pastas certainly tickled my fancy. I ordered the Fusilli Salmone, which was to die for! The salmon was cooked to perfection, and I'm left craving for more. Because I can't eat cream sauces, I can't personally vouch for the Tortiglioni Norcina. I can say that it is "Rigatoni pasta, fresh porcini mushroom, sausage, onions and touch of cream drizzled with truffle oil". According to the individual who did eat this dish, "touch of cream" was applied loosely, but still good overall! Watermarc | Oh Watermarc, you temptress. Making me desire everything on your menu! I can honestly say that I do not have a single complaint about this meal. Everything was scrumptious, and everything was certainly worth having. So what did I have? 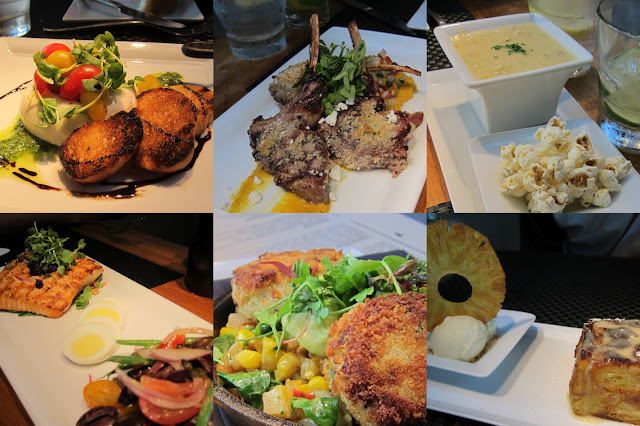 From the left, Burrata Mozzarella, Herb Crusted Lamb Chops, Sweet Corn and Crab Chowder, Salmon Niçoise, Lump Crabcakes, and White Chocolate Macadamia Break Pudding with Pineapple Ice Cream. Their cocktails were pretty good as well, and I've recommended this establishment to all my friends and family. Now for some non-edible goodness to prove that I am not a complete glutton! 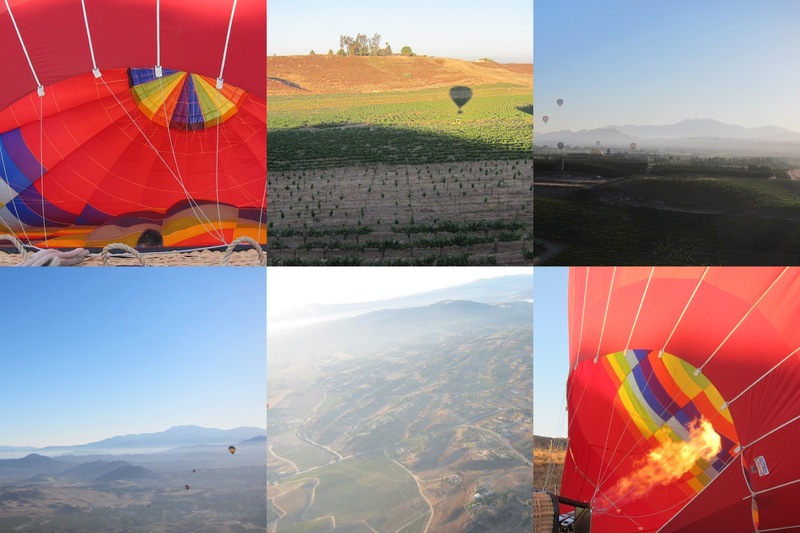 I had the privilege of flying in a hot air ballon (and subsequently crossed off an item from my bucket list). It was one of the most remarkable experiences I've had and was certainly a moment that produced beautiful photos. Flying over the vineyards in Temecula was simply amazing (although I really can't vouch for the pilot's Wizard of Oz jokes). 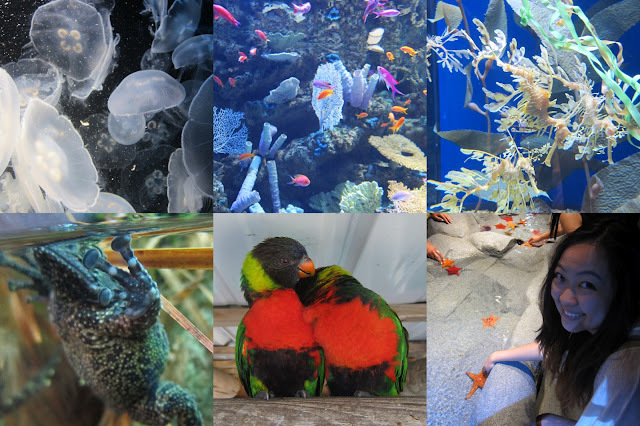 I also visited the Aquarium of the Pacific, a place I dearly love and frequented in high school. I have to say that the Lorikeets are my favorite, as well as their petting tanks. If you go after five, I have to warn you that most of the sharks will be sleeping. And there we have it! What I have been up to, and what I have been eating, for the past few weeks. I can honestly say that this summer is one that I'm thoroughly enjoying. It's been wonderful participating in this phenomenon called "having a life" that I'm certainly not used to at school. Time is surely passing by too quickly!